Bandai Namco has announced a live stream titled “God Eater 9th Anniversary Official Broadcast”. The broadcast is set for February 4 at 8:00pm to 10:00pm JST or 5:00 a.m. to 7:00 a.m. CT. You will be able to watch it on YouTube, Niconico, and Periscope. During the broadcast, the development team will share the latest update on the God Eater series, including the next free update for God Eater 3 and the latest infomation for the mobile game God Eater: Resonant Ops. There will also be some details about the 9th anniversary events and bonuses. The God Eater 3 version 1.11 will be released on January 23 in Japan for PlayStation 4. This new update will add worldwide cross-matching, character face lighting improvements, and other adjustments for combat and text. 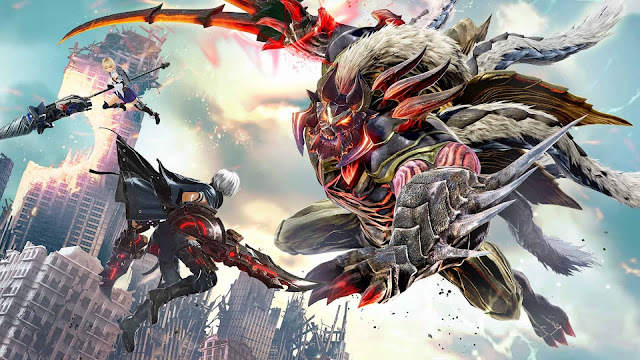 God Eater 3 is currently available for PlayStation 4 in Japan. The game releases for PlayStation 4 on February 8 in North America and Europe and worldwide for PC.